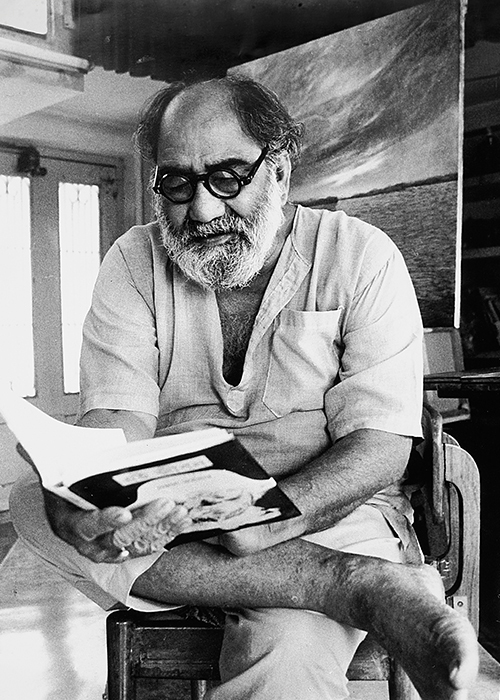 Prokash Karmakar learnt painting at his father, artist-teacher Prahlad Karmakar’s atelier, till the socio-political turmoil of the Forties and his father’s early death put an end to it. After his matriculation, Karmakar joined the Government College of Art & Craft, Calcutta, but quit soon after for reasons of poverty. 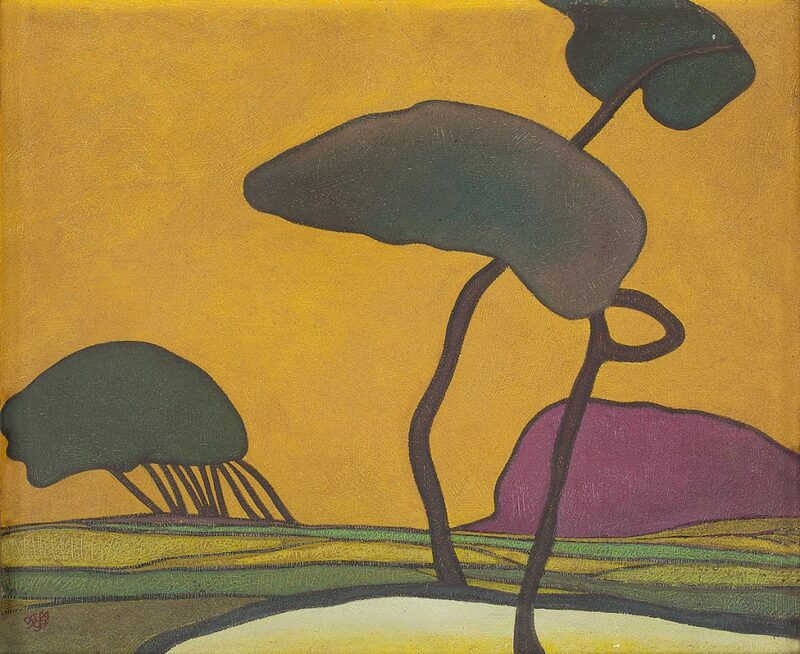 He joined the army but absconded after two years, driven by his desire to paint. 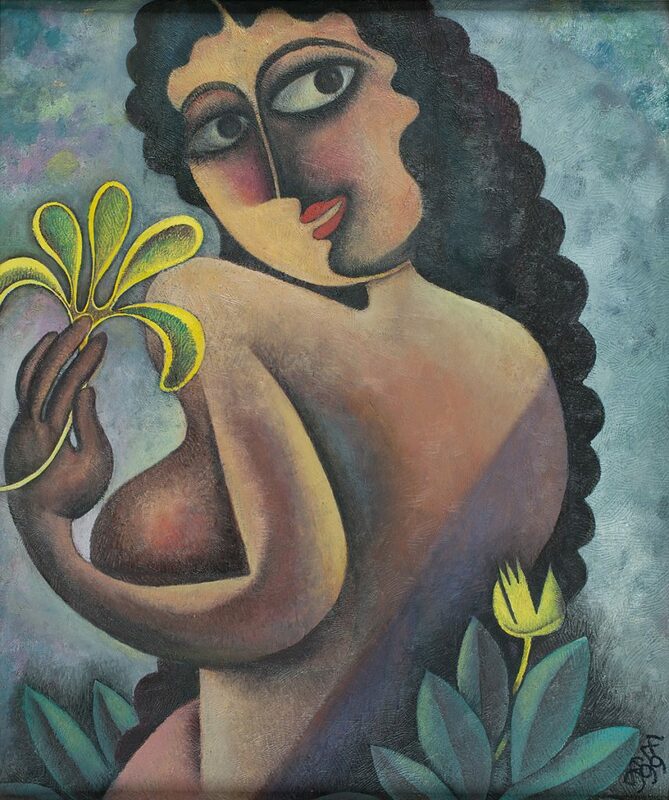 He learnt the techniques of transparent and opaque watercolours from Kamalaranjan Thakur, a former student of his father, and Dilip Das Gupta. 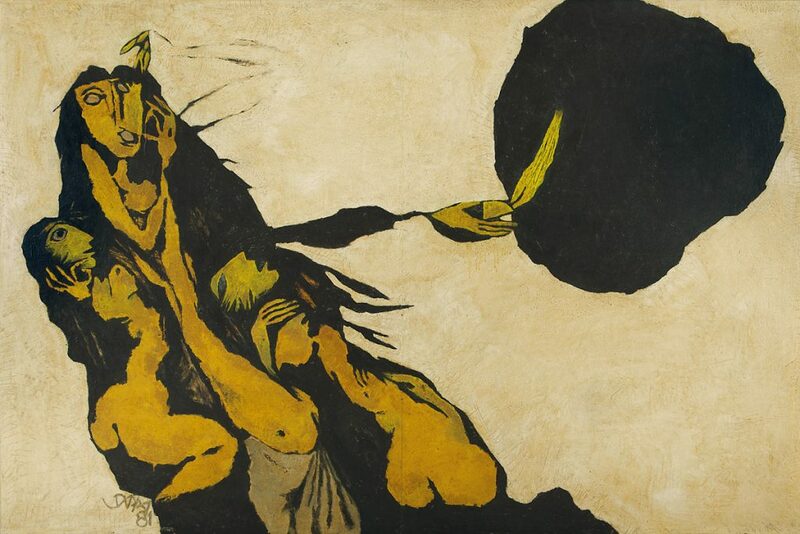 However, it was Nirode Majumdar who acquainted him with artistic and philosophical concepts, techniques, coherence of lines and the breaking of form. Karmakar held his first exhibition in 1959 on the railings of Indian Museum, Calcutta. His art emerges from a contemplation of life, through the prism of personal traumatic experiences intermingled with dark moments in our recent history. 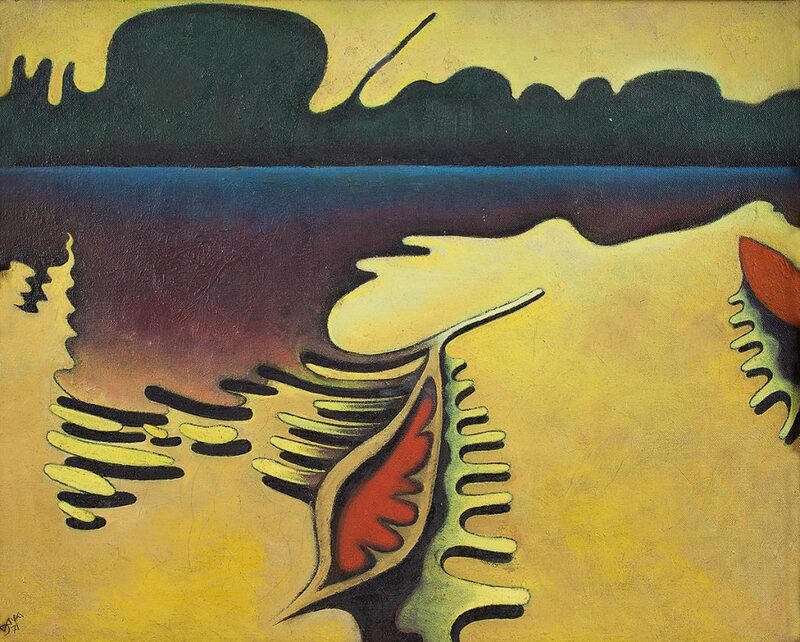 In 1969-70, Karmakar visited France on a fellowship to study art museums, an inspiring exposure for the expressionist artist who, being ‘primarily a colourist’, began in the Seventies to create his figurative monochrome paintings. 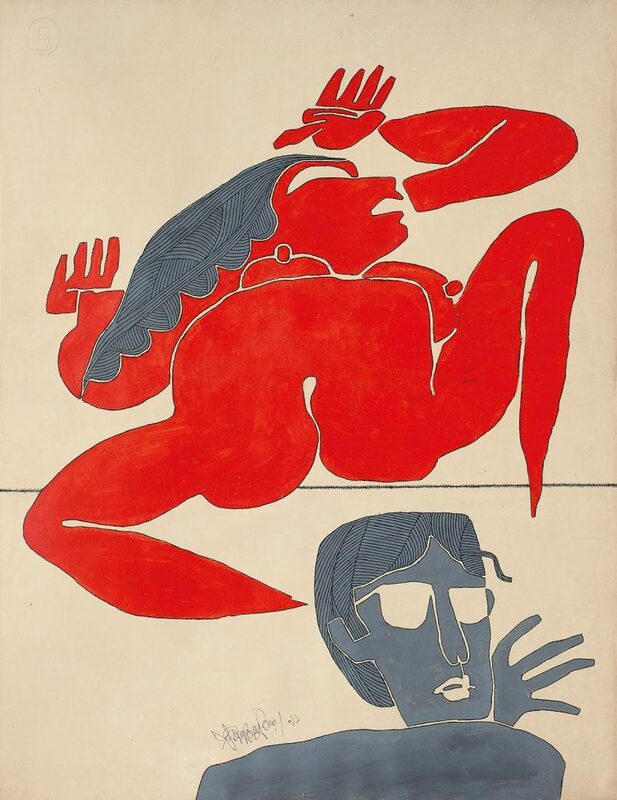 He won the 1968 Lalit Kala Akademi national award, and his work exists in several collections throughout the world.